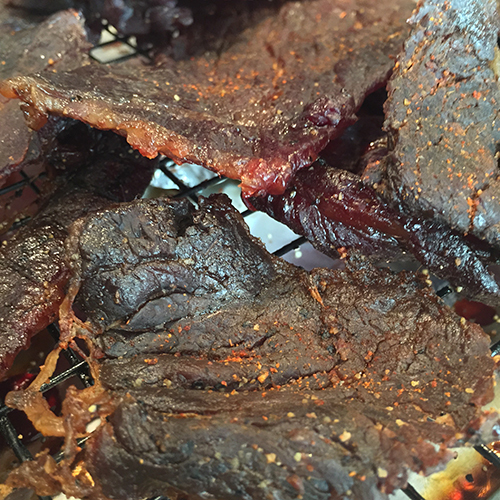 Whenever we hit the road for a long BBQ trip I have to make a batch of beef jerky. There’s nothing that passes the time on the road better then finishing off a bag of moist beef jerky. We have a fail proof recipe to make you king of the road and the bbq. Combine all marinade ingredients in a zip lock bag and mix well. Add london broil making sure all pieces are submerged. Place in refrigerator over night up to 24 hours. Set smoker to 160f. 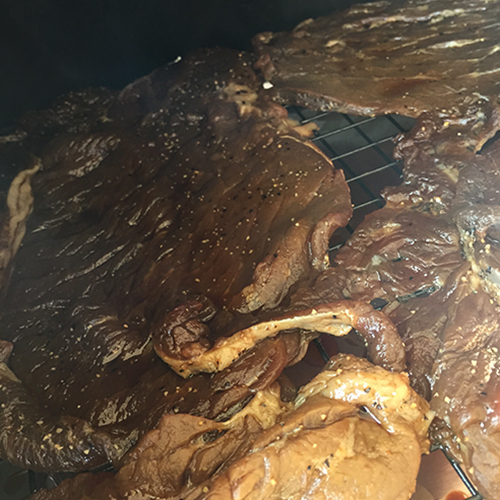 Place the jerky on the grates and smoke for 6+ hours until dry with your favorite flavor pellets. 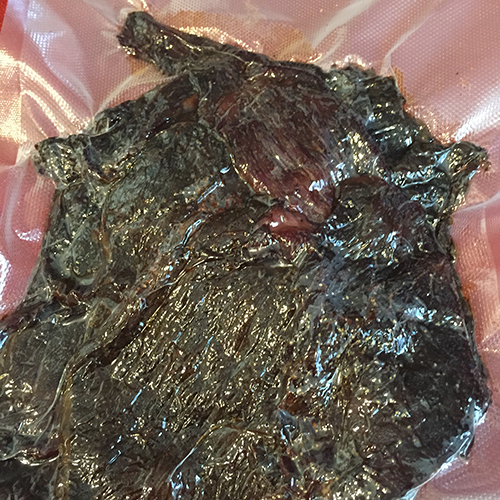 For longer storage let the jerky cool and vacuum seal in bags. Enjoy! If you have any questions about this recipe please comment below.